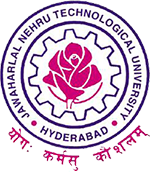 JNTU Hyderabad has announced MBA/MCA I, III & V Sem Regular, II & IV Sem Supply Exams Notification Feb/March 2016 on 22-12-2015. The notification is hereby issued for the I, III & V Semester Regular University examinations and Supplementary University examinations of II & IV semesters of MCA course. You are requested to note the following schedule of events associated with the Regular / Supplementary Examinations of M.C.A course. These Examinations are scheduled to be held in the month of February/March-2016. The notification is hereby issued for the I & III Semester Regular University examinations and Supplementary University examinations of II & I V semesters of MBA course. You are requested to note the following schedule of events associated with the Regular/Supplementary Examinations of M.B.A course. These Examinations are scheduled to be held in the month of February/March- 2016. 3 months over…BT there is no results of 3rd Sem Mba R13….